NOTE: Bags are empty; Sand and other fillings, tent are NOT included. 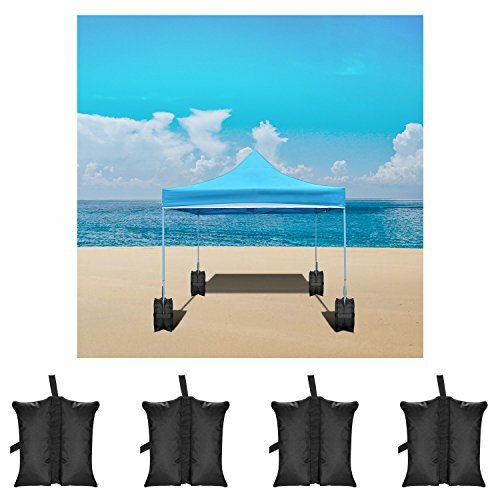 Sandbags are useful to help stabilize your gazebo, parasol, pop up canopy tent shelter or market stall. This bag comes empty and can be filled with gravel, sand, rocks, or any other material to add weight. 15-20 pounds capacity and specially designed fastening tape straps will ensure that the weight bags stay securely attached to your sunshade. Sand Bags - Empty White Woven Polypropylene Sandbags with Ties, UV Protection; Size: 14 " x 26 "